Yemen's al-Mahra governorate has avoided the worst of the civil war’s violence. Geographically removed from frontline combat, al-Mahra has benefitted from development projects sponsored by neighboring Oman over the past three decades—residents on both sides of the border share a common dialect and culture. 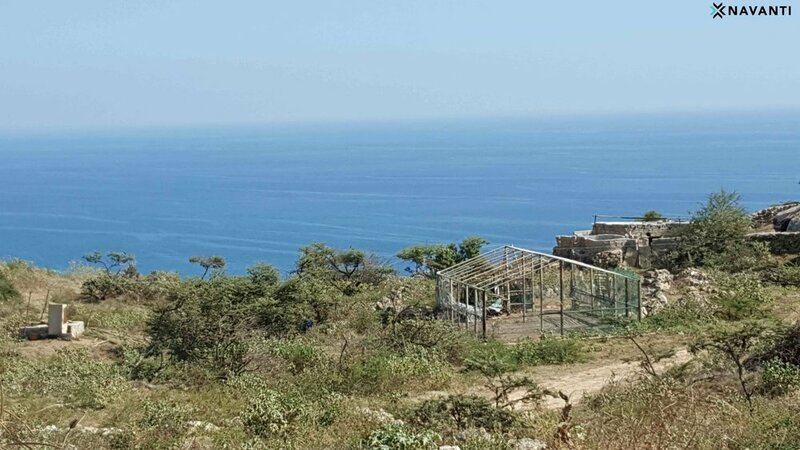 But a series of natural and economic events in late 2018, including storms that battered the Yemeni coast and the falling value of the Yemeni rial, have recently made daily life a struggle for Mahris. Cyclone Luban hit the southern Yemen coastline in October 2018, washing out roads, destroying houses, and carrying off farms and bridges as it tore through al-Mahra governorate. Luban was only the latest in a series of storms to affect the area: it came on the heels of Cyclone Mekunu that struck just three months prior, which damaged infrastructure that was, in turn, already compromised by Cyclone Chapala in 2015. A lack of drainage systems compounds the destruction caused by these storms. For its part, Luban knocked out sections of the water grid in the provincial capital of al-Ghayda, forcing people to buy filtered water at inflated prices. Luban also increased food scarcity as shipments were cut off due to flooded roads. Finally, the storm destroyed fishing boats and equipment. Because fishing is one of the governorate’s most important industries, this meant that many residents already struggling to make a living were put out of work. Luban coincided with the already weak Yemeni rial plummeting in value during fall 2018, increasing the price of basic necessities such as food and fuel when people were most in need. Nevertheless, Mahris are generally able to keep food on the table, due to a majority of families receiving remittances from relatives living in Oman, Saudi Arabia and the UAE. This is an important source of income because some locals refuse to work jobs they deem beneath them. Because it borders Oman to the east, al-Mahra experienced an uptick in commercial activity after the Yemen conflict started, and at times was the country’s main transit point for imports and exports. The benefits of this activity accrued to businessmen and traders, while ordinary people continued to rely on development projects sponsored by Oman and, later, the UAE and Saudi Arabia. Market in the town of Sayhut, al-Mahra. Source: Navanti. The major storms that hit Al-Mahra over the past three years have threatened one of the governorate’s hidden treasures: well-preserved historical ruins, including religious sites and military forts. The governorate is home to the historic Mahra sultanate, presided over by the Bin Afrar family from its establishment in 1482 until 1967, when the area became part of the People’s Democratic Republic of Yemen. The Mahra sultanate was historically based in the town of Qishn. Al-Mahra is also a historical home to practitioners of Sufism, or Islamic mysticism. Old Sufi mosques and shrines to Sufi religious figures dot the landscape. Notable architecture in al-Mahra is not limited to religious or political sites. One local tradition holds that after marrying, the husband builds a room for his wife that is attached to her family’s house, in which the newlyweds live. This custom, combined with the large amount of available space in the al-Mahra countryside, has led to the construction of beautiful, spacious one-story houses. 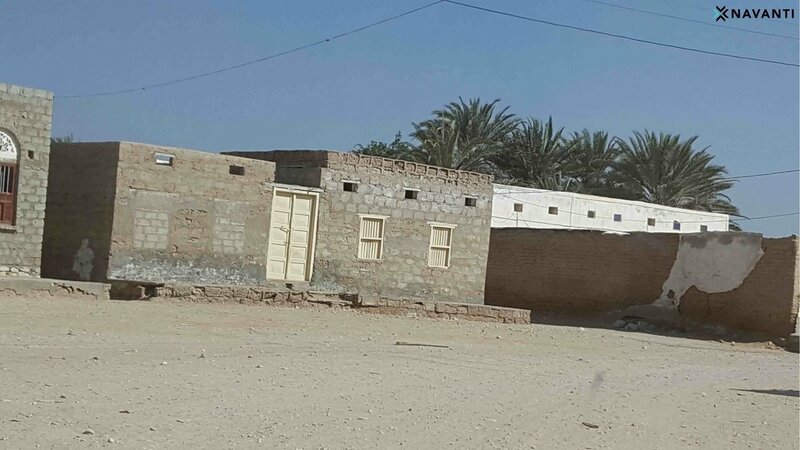 Traditional houses in Sayhut, al-Mahra. Source: Navanti. Years into Yemen’s ongoing conflict, a combination of geographic, political, and cultural factors have kept Mahris safe from the worst of the war’s violence, even as they suffer economic impacts and contend with natural disasters.